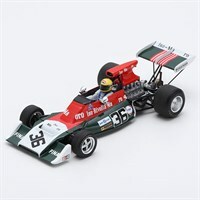 Spark 1:43 resin model of the #36 Iso FX3B as driven by Nanni Galli in the 1973 Argentinian Grand Prix. 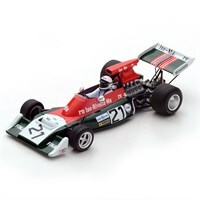 Spark 1:43 resin model of the #21 Iso FX3B as driven by Howden Ganley in the 1973 South African Grand Prix. Spark 1:43 resin model of the #20 Iso FX3B as driven by Jackie Pretorius in the 1973 South African Grand Prix.